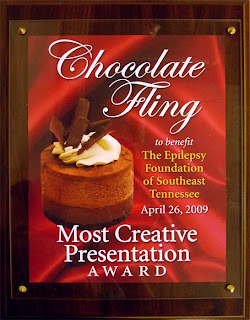 This past Sunday (26th of April, 2009) we participated in the Epilepsy Foundation's Chocolate Fling at the Bessie Smith Hall downtown. 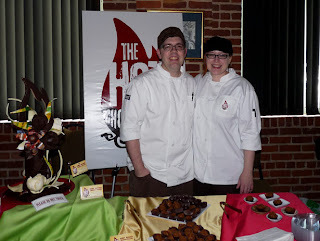 They held a silent auction and had plenty of chocolate provided by area restaurants, patisseries and chocolatiers. We walked away with an award for the most creative presentation. (I believe it was a sculpture with our logo that took home the prize for us.) We plan to participate again next year as we had a blast!